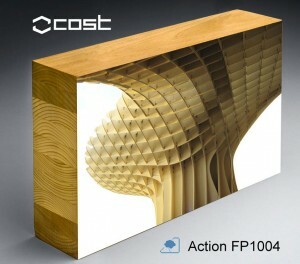 COST Action FP1004 “Enhance mechanical properties of timber, engineered wood products and timber structures” – I.A.M. The scientific focus of this Action is the application of existing and innovative reinforcing techniques for enhancing the mechanical performance of timber structures. These techniques involve the introduction of materials that interact well (work in composite action) with the wood and also act as reinforcement. Special emphasis will be put on the correct use of strength and stiffness enhancement techniques, in order to obtain more efficient and safer structural behaviour. Some of these techniques are innovative and therefore require development to improve their performance and to optimise their use in design.